September 2009's top seller was DC's Blackest Night #3, with first-month orders of 140,700 copies copies. By the end of the year, it would have orders of more than 161,400 copies, making it the fifth-best-selling comic book of 2009 Check out the detailed analysis of the month's sales here — and sales chart here. September 2005's top-seller was DC's All-Star Batman #2, with Diamond first-month orders of more than 178,600 copies. With reorders charting in later months, the issue sold more than 185,000 copies through Diamond, making it the 43rd best-selling comic book of the 2000s. (See the whole list here.) Also a two-issue month for New Avengers and JLA, September helped close out 2005's third quarter up 5% over the same period in 2004. Check out the sales chart for September 2005 here. 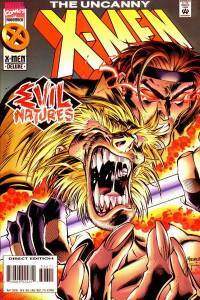 September 2000's top-seller in preorders was Marvel's Uncanny X-Men #386, with Diamond preorders of 111,900 copies; it didn't make the Top 300 list for the decade. But while reorders weren't reported at the time, the release with the greatest ultimate (no pun intended) impact this month was Ultimate Spider-Man #1. While the Brian Michael Bendis issue came in 15th place on preorders of more than 54,000 copies, multiple reprints in various markets took that total several times higher. So it was a better month, in the end, that preorders for comic books suggested: those were again down heavily, though the oversized JLA: Heaven's Ladder made a major splash on the graphic novels list. Check out the sales chart here. September 1995's top seller is problematic to determine, and that would remain the case for the next eleven months. Marvel had stopped distributing its comics through all other distributors but Heroes World Distribution beginning in July 1995, and DC, which had sold through only Diamond and Capital in July and August, was down to just Diamond in September. So the title rankings are speculative, although there was some data. Capital City polled its retailers for what they were selling overall, and found that Uncanny X-Men #326 was the top-seller; Diamond's top seller, Spawn #36, placed third on the Capital list. Capital sold 70, 275 copies of Spawn #36, but that was a drop of a full 25% from just three months earlier, when Capital was a full-line distributor. (And after October 1995, Image would be gone from Capital, too.) 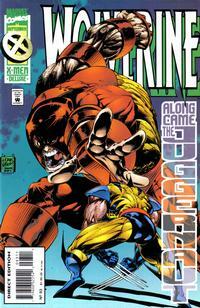 Uncanny X-Men's average monthly sales were 455,570 copies during this period — newsstand included. Retailers continued to lament Marvel's switch to Heroes World. At least one store, Cliff's Books of Deland, Fla., dropped Marvel entirely rather than add an additional distributor. 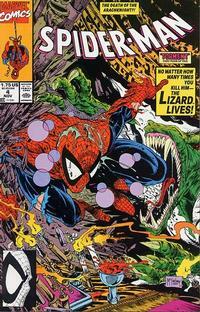 September 1990's top seller at Diamond and Capital City was Todd McFarlane's Spider-Man #4. Marvel sold 693,000 copies of the issue through all channels, including 89,400 copies on the newsstand and 590,400 copies in the Direct Market (including 141,000 through Capital). September 1985's top seller at Capital City was Marvel's Secret Wars II #7, with orders of 49,100 copies through Capital; overall sales were likely north of 300,000 copies. The month saw reports in Capital's Internal Correspondence that newsstand sales for Marvel and DC had sharply declined in the previous year. "Although these sales declines are bad news for magazine publishers," the report said, "it is probably good news for the direct market."